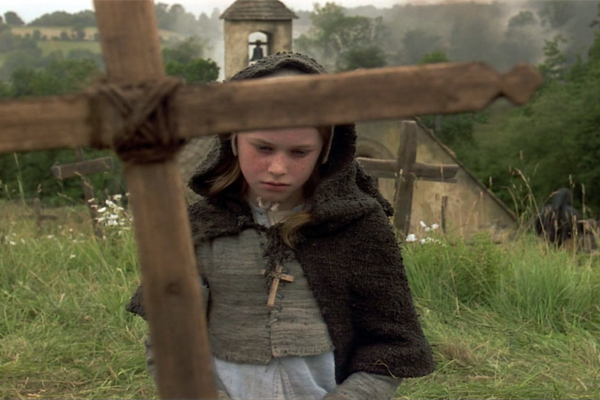 Joan of Arc, Jeanne d’Arc, the Maid of Orléans, St. Joan — this peasant girl who lead an army to save medieval France but was then burned at the stake has been the subject of many films. 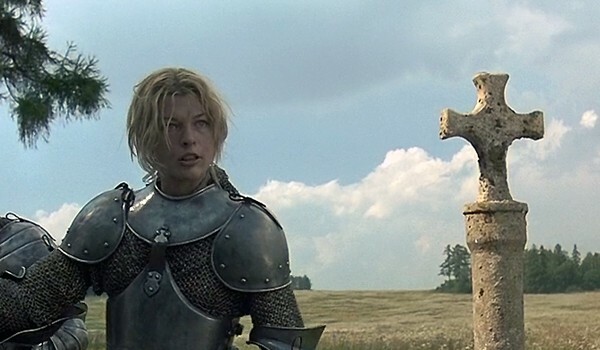 Let’s take a look at two of the most well-known versions, 1948’s Joan of Arc starring Ingrid Bergman and 1999’s The Messenger: The Story of Joan of Arc starring Milla Jovovich. Both movies naturally enough condense the historical facts of Joan’s life to fit a theatrical running time and narrative arc. But they both use some of the same authentic text from Joan’s trial transcript and other historical documents. 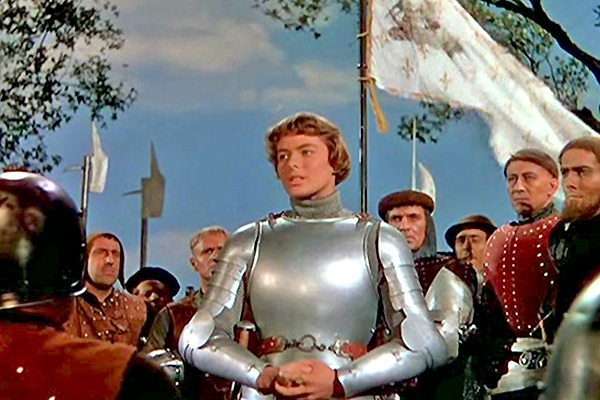 It’s not clear whether Joan actually fought in any battles as a solider or simply accompanied the army wearing borrowed armor, and each film takes its own position. 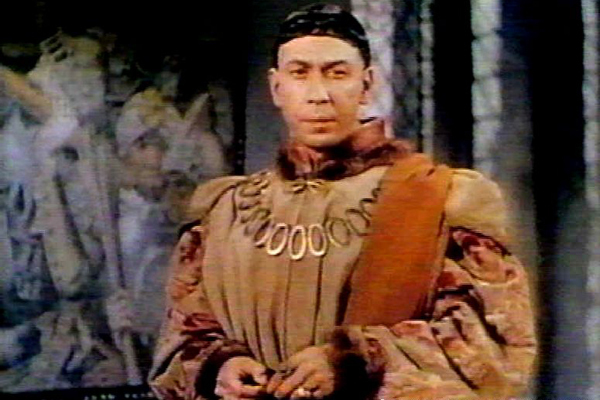 Her loyalty to the dauphin / King Charles VII and his betrayal are shown in similar fashions, the main differences being in the actors portraying Charles (José Ferrer in the earlier film, John Malkovich in the later). The biggest differences in the story that I found compelling are psychological. The 1948 film treats Joan as a straightforward saint, divinely inspired, on a mission from her god to save her country. Bergman is luminous and passionate, clearly playing her dream role. You can see why she earned an Academy Award nomination for Best Actress that year. 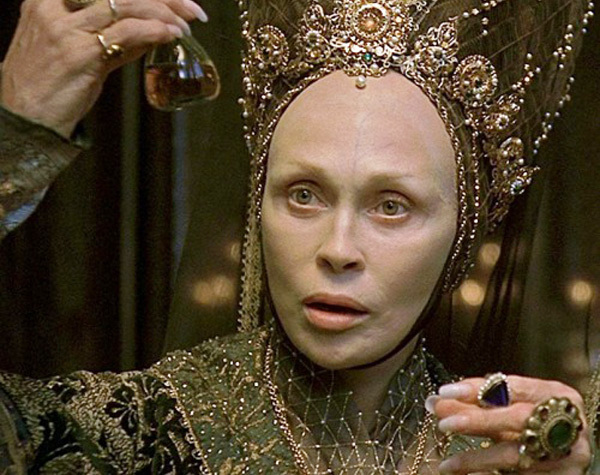 But each movie is a product of its time, and the 1999 film very much has a modern interpretation of Jeanne’s visions. Jovovich veers from driven to crazed to tortured in the movie, and you’re never quite sure if her visions are of a religious nature or a mental imbalance. 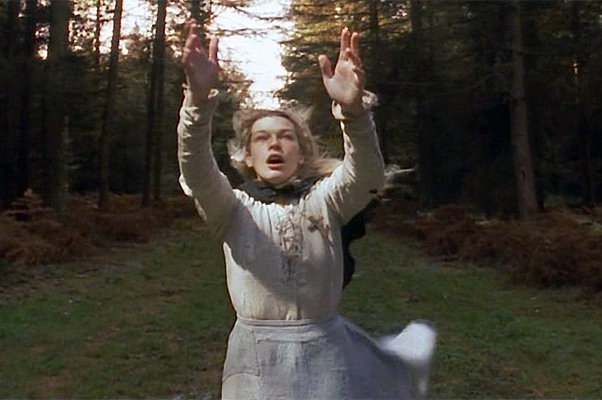 The cinematography emphasizes the feeling of Jeanne’s instability. It’s a really interesting idea, making you wonder how many things that 500 years ago were explained by religion, spirits, and ghosts might today be explained by mental illness. 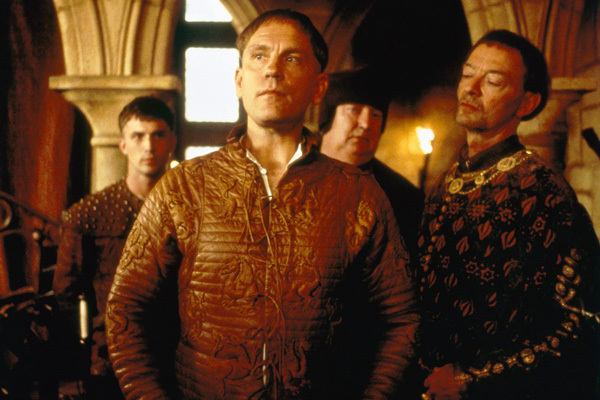 While these aren’t fancy-pants costume movies, they are set in 15th-century France and show a range of costumes from peasants to military to court. 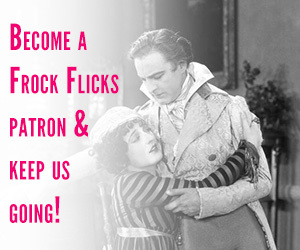 The earlier film’s costume team of Barbara Karinska and Dorothy Jeakins won the Oscar for Best Costume Design, Color (back when the award was given separately for black and white and color films). The later film’s costume designer Catherine Leterrier had also done the stunning 18th-century costumes for La Révolution Française (1989), plus Coco Before Chanel (2009). 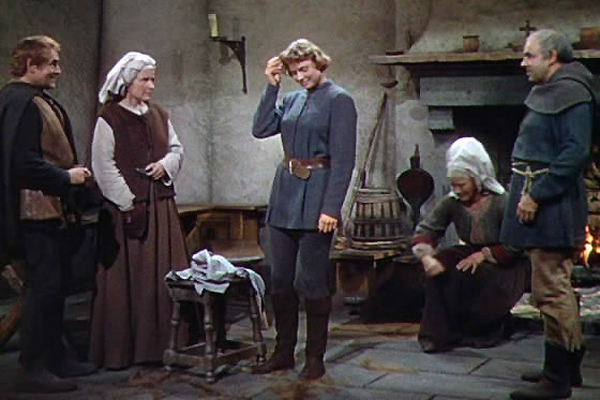 My biggest complaint with the costumes in this movie is the peasant garb in the first few scenes, especially Joan’s girl clothes. She’s wearing a generic 17th- or 18th-century European peasant look with a fitted bodice, long skirt, and head scarf. Nothing very medieval about this. The men’s peasant clothes are a touch better since they’re vague tunics and pants. But it’s all pretty random. 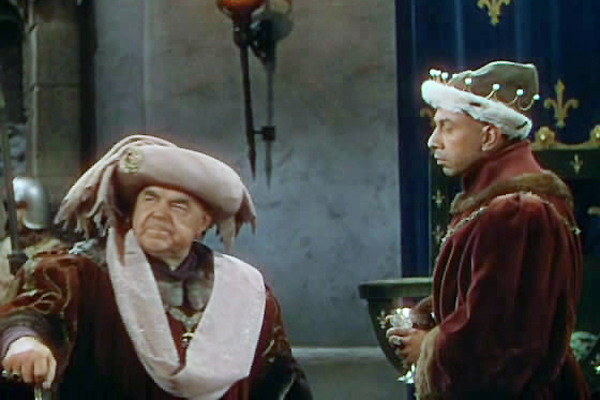 The court clothes look decent though.The men have some excellent chaperon hats, along with close-cropped (not 1940s) hair. 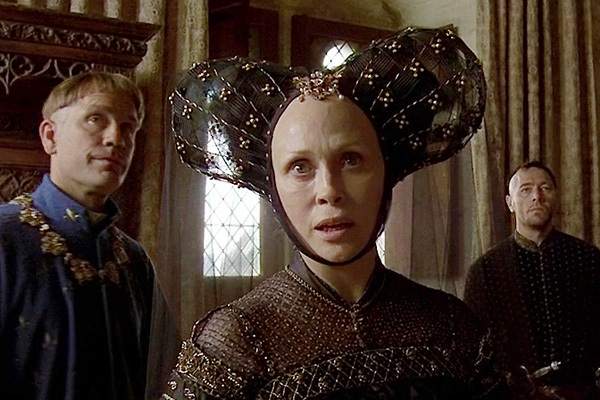 You can see some wonderful towering hennins on women in the background of the court scenes. I do give this movie props for not using glaringly obvious 1940s makeup or hair — no crazy eyebrows or lipstick or pompadours that distract. More historically accurate costumes, on the whole, although some elements — like the high quality of Jeanne’s armor, who would have been borrowed — stretch believability (a common problem in Joan of Arc films, but in The Messenger, it’s taken to the extreme). The peasant garb looks much more 15th-century France here, at least. Most fascinating are the court scenes where Leterrier and her team went to town with the variety of medieval women’s headdresses, including hennins, rolls, and elaborate veils. 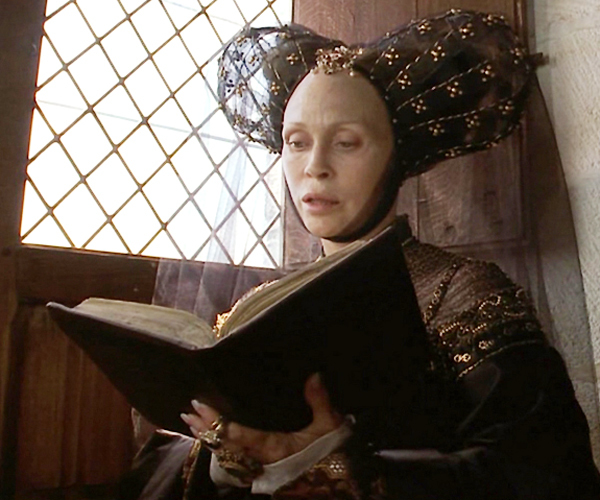 Faye Dunaway as the king’s adviser/mother-in-law Yolande of Aragon has some really freakin’ amazing headgear. Worth watching for those scenes alone! Have you seen either of these movies? 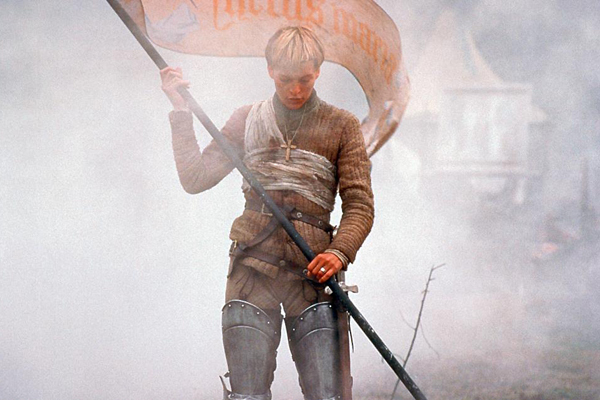 What’s your favorite Joan of Arc on film? My favorite Joan is the one starring Leelee Sobieski. However, my husband, who is a medievalist, says she probably did not actually wear armor at all. Actually, historians are now certain Joan did have armour specially made for her. She probably didn’t fight, but she did carry a blessed banner into battle, and was wounded by an arrow during the lifting of the siege of Orlean. As for my favourite Joan movie, I’ve only seen the Leelee Sobieski version, but I thought they romanticised it too much. 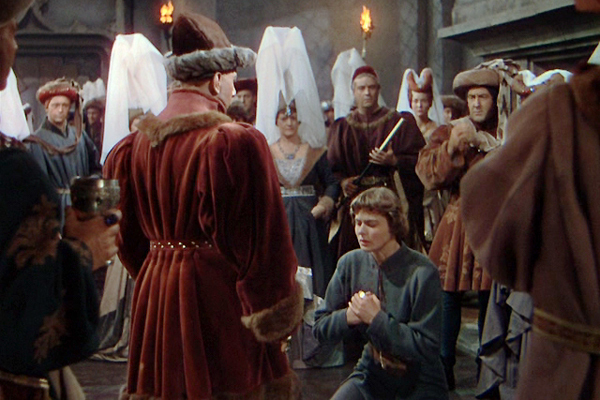 I have a lot of fondness for the Ingrid Bergman movie, but my favorite without doubt is La Passion de Jeanne d’Arc. It focuses exclusively on Joan’s trial and execution. 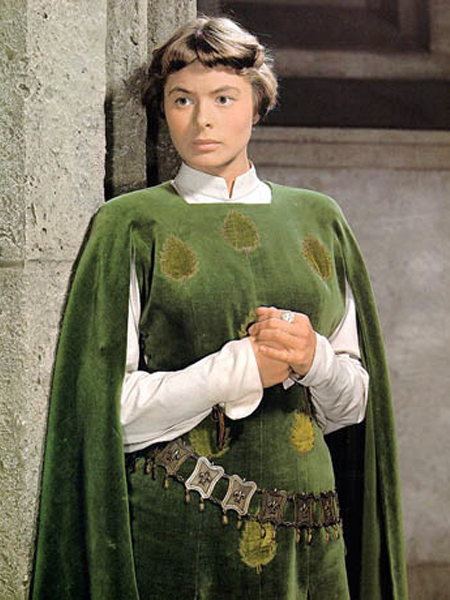 As a result, there are no fancy costumes, and Joan’s outfit is a very simple tunic, hose, and boots. What’s interesting is that Carl Theodor Dreyer, the director, forbade makeup on the actors. When he met with Renee Maria Falconetti, who played Joan, he told her to come meet him without any makeup so he could see her natural face. It’s also one of the few films that depicts the shaving of Joan’s head. 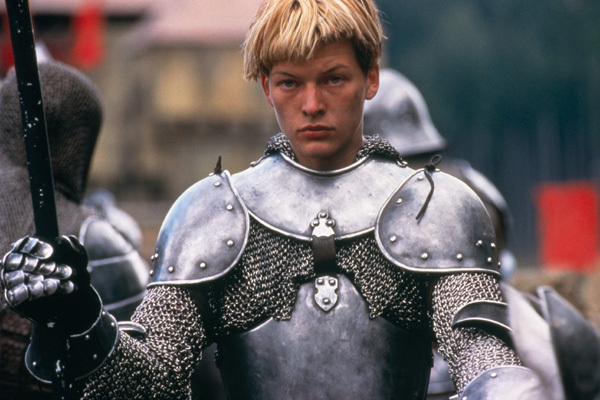 La Passion de Jeanne d’Arc is a haunting, emotionally grueling experience, and Falconetti’s portrayal of Joan is considered by many to be one of the greatest performances ever filmed.